As the national association for lawyers in the United States, the ABA offers information about all aspects of the practice of law. As its name implies, this division of the ABA informs solo, small firm, and general practitioners. 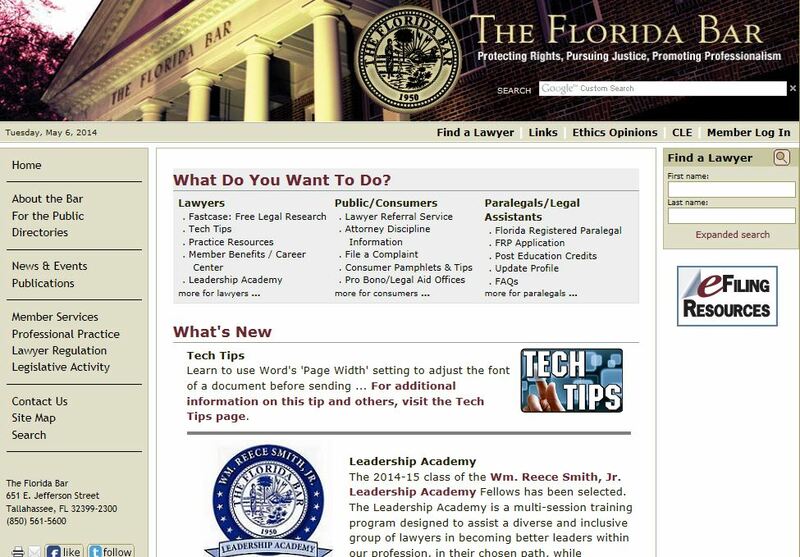 This website shares essential information regarding the practice of law in the state of Florida. 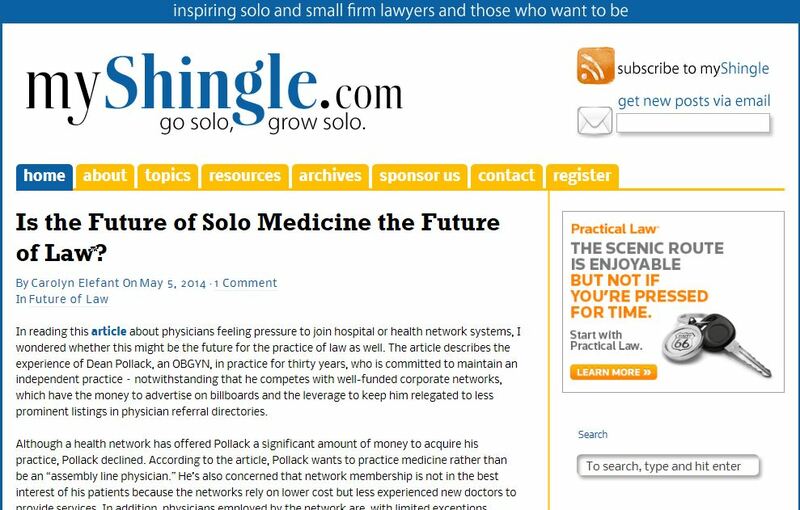 Blog by solo practice guru Carolyn Elefant, myShingle.com offers information and advice to solo practitioners. 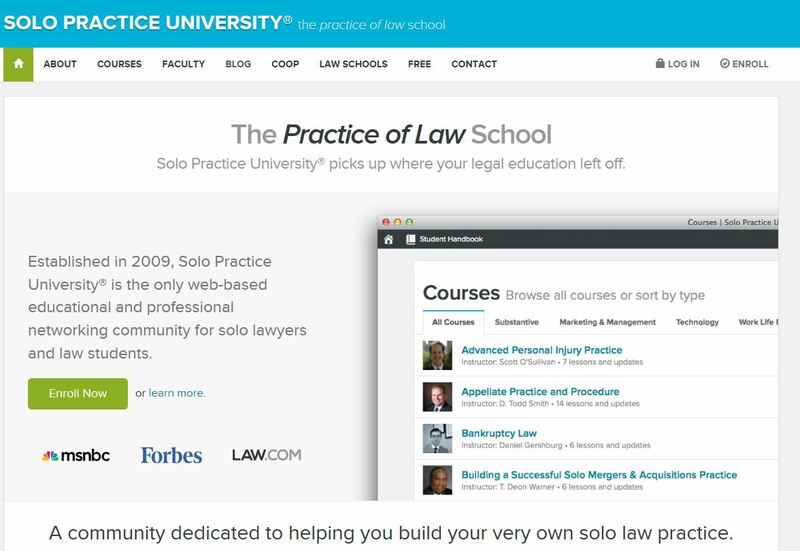 Solo Practice University is a web-based educational and professional networking community for solo lawyers and law students. 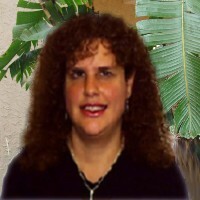 See the blog at http://solopracticeuniversity.com/blog. 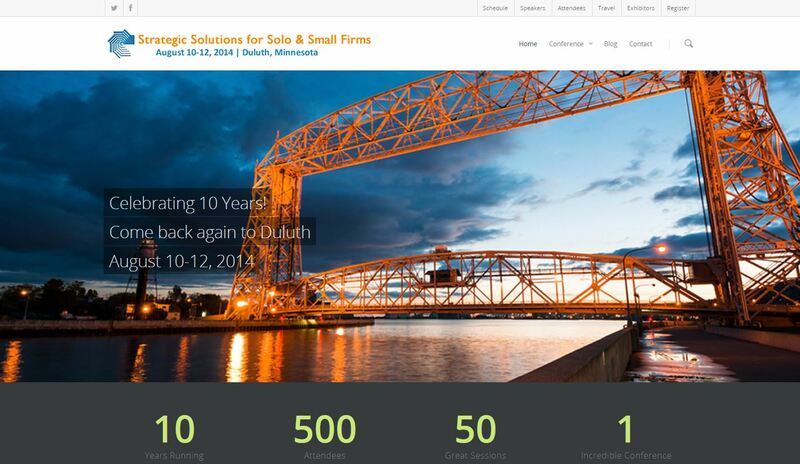 Strategic Solutions for Solo & Small Firms is a CLE conference focusing on tips and strategies for solo and small firm practitioners. 50 Web Resources for the Suddenly Solo Lawyer by Jim Calloway and Allison C. Shields. From Law Practice Today, July 2009. Do-It-Yourself Marketing: Tips for Solo and Small Firm Lawyers by Michele R.J. Allinotte. From Law Practice Magazine, Jan./Feb. 2011. So You Want to Go Solo? You Sure? by Deborah L. Cohen. From ABA Journal, Nov. 1, 2009. The 21st Century Law Practice: Carolyn Elefant Offers Solos Money and Time Saving Tips by Nicole Black. From MyCase, Jan. 29, 2013. Tips for Startup Solo Practitioners by Alla Rothberg. From Law.com, April 8, 2011. Batman, Jean L. (2011). Letters for Small-Business Lawyers. Chicago: American Bar Association General Practice, Solo & Small Firm Division. Law Library General Collection KF1659.A65 B38 2011; Includes CD-ROM in Media Cabinet (on reserve). Benikov, Alexander Y. (2013). Starting a Law Practice and Professionalism for New Lawyers. New York: Wolters Kluwer Law & Business. Law Library General Collection KF318 .L63 2013. Calloway, James A. & Robertson, Mark A., eds. (2008). Winning Alternatives to the Billable Hour: Strategies That Work. 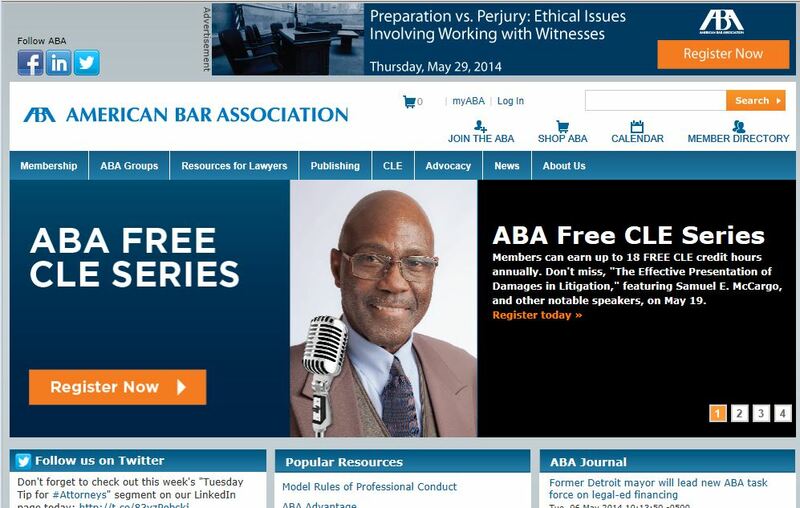 Chicago: American Bar Association Law Practice Management Section. KF316 .R53 2008. Dimitriou, Demetrios (2005). Law Office Procedures Manual for Solos and Small Firms. Chicago: American Bar Association Law Practice Management Section. Law Library Microforms Collection KF325.1285 .D56 2005 ;2000 edition available in print format in Law Library General Collection KF318 .D55 2000. Elefant, Carolyn (2011). Solo By Choice : How to Be the Lawyer You Always Wanted to Be. Seattle: DecisionBooks. Law Career Services Office KF300 .E44 2011. Elefant, Carolyn (2012). Solo By Choice, the Companion Guide: 34 Questions That Could Transform Your Legal Career. Seattle: LawyerAvenue Press. Law Career Services Office KF300 .E423 2012. Garfinkle, Marc D. (2010). $olo Contendere : How to Go Directly from Law School into the Practice of Law Without Getting a Job. Maplewood, NJ : M. Garfinkle. Law Career Services Office KF300 .G37 2010. Gibson, K. William (2012). How to Build and Manage a Personal Injury Practice. Chicago: American Bar Association. Law Library General Collection KF1257 .G53 2012; Includes CD-ROM in Media Cabinet (on reserve). Gibson, K. William, ed. (2005). Flying Solo: A Survival Guide for the Solo and Small Firm Lawyer, 4th ed. Chicago: American Bar Association Law Practice Management Section. Law Library General Collection KF300.Z9 F59 2005; Also available in microform at KF325.1285.F59 2005. Guinn, Ann M. (2010). Minding Your Own Business: The Solo and Small Firm Lawyer's Guide to a Profitable Practice. Chicago: American Bar Association General Practice, Solo & Small Firm Division. Law Library General Collection KF318 .G85 2010; Includes CD-ROM in Media Cabinet (on reserve). Hermann, R. L. (2010). Managing Your Legal Career: Best Practices for Creating the Career You Want. Chicago: American Bar Association. Law Library General Collection KF297 .H45 2010; Also available in Law Career Services Office. Hermann, R. L. (2012). Practicing Law in Small-Town America. Chicago: American Bar Association. Law Library General Collection KF297 .H447 2012. Lovett, Steven L. (2013). Practice Basics. Chicago: American Bar Association Solo, Small Firm and General Practice Division 2013) Law Library General Collection KF1425 .L69 2013. Miller, Frederick H. (2007). The Lawyer's Guide to Modern Payment Methods: ACH, Credit, Debit, and More. Chicago: American Bar Association General Practice, Solo, & Small Firm Division. Law Library Microforms Collection KF325.1425 .M555 2007. Nelson, Sharon D., Simek, John W., & Maschke, Michael C. (2013). The 2013 Solo and Small Firm Legal Technology Guide : Critical Decisions Made Simple. Chicago: American Bar Association Law Practice Management Section. Law Library General Collection KF320.A9 N45 2013. Poll, Edward. (2002). Attorney and Law Firm Guide to the Business of Law: Planning and Operating for Survival and Growth. 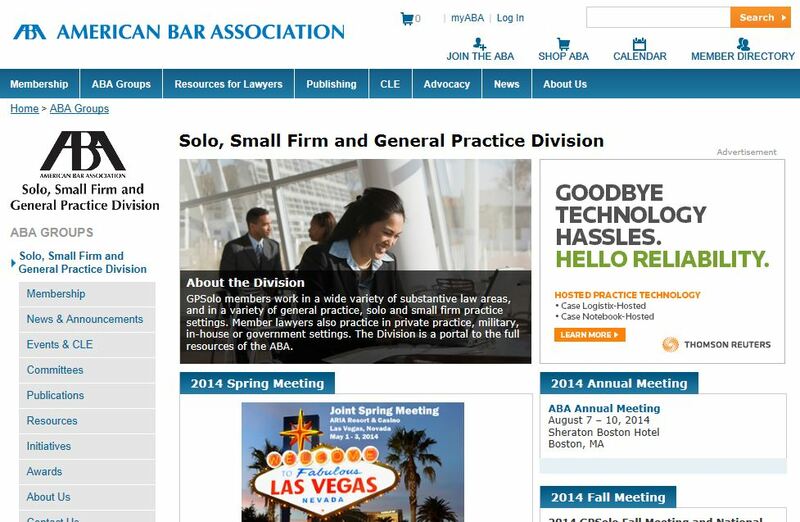 Chicago: American Bar Association General Practice, Solo, and Small Firm Section. Career Services Office; Also available in Law Library Microforms at KF325.1425 .P65 2002. Rose, Jennifer J., ed. (2005). How to Capture and Keep Clients: Marketing Strategies for Lawyers. Chicago: American Bar Association General Practice, Solo & Small Firm Section. Law Library General Collection KF316.5 .H69 2005; Also available in microform at KF325.145.H675 2005. Tripoli, Lori. (2012). Contemporary Law Office Management. New York: Wolters Kluwer Law & Business. KF318 .T75 2012.